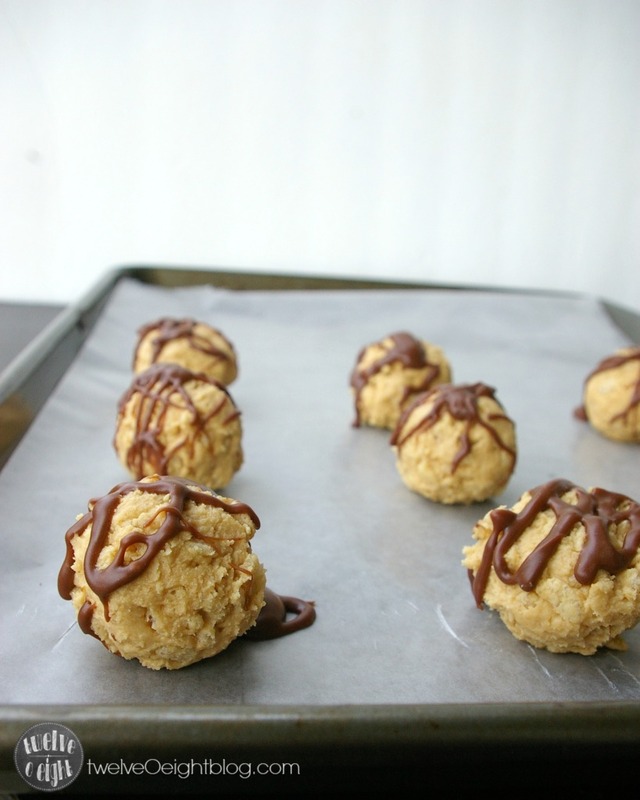 Chocolate drizzled sweet & crispy peanut butter truffles that you don't have to even bake! In a mixing bowl combine peanut butter and softened butter and blend well with a hand mixer. Add powdered sugar, mix again. 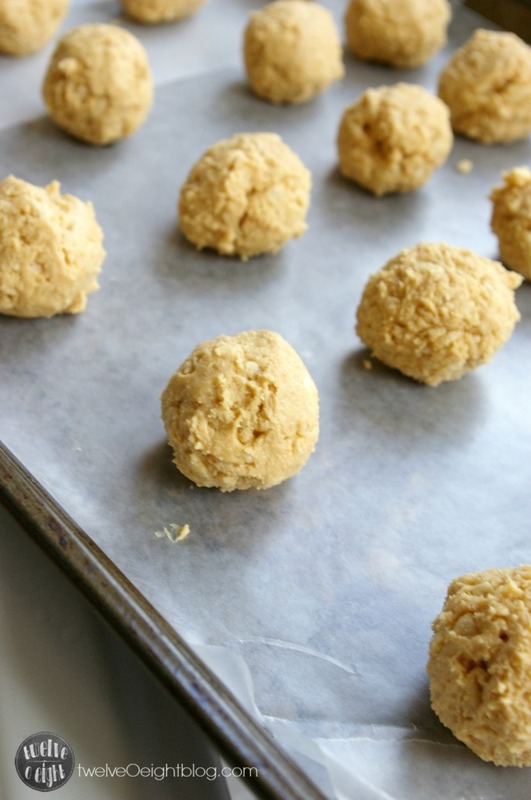 Roll into one inch balls and place on a wax paper lined sheet, set aside or keep in the refrigerator. of milk and drizzle over the peanut butter balls. Set in the refrigerator and store in a sealed container for up to a week between sheets of waxed paper in the refrigerator. 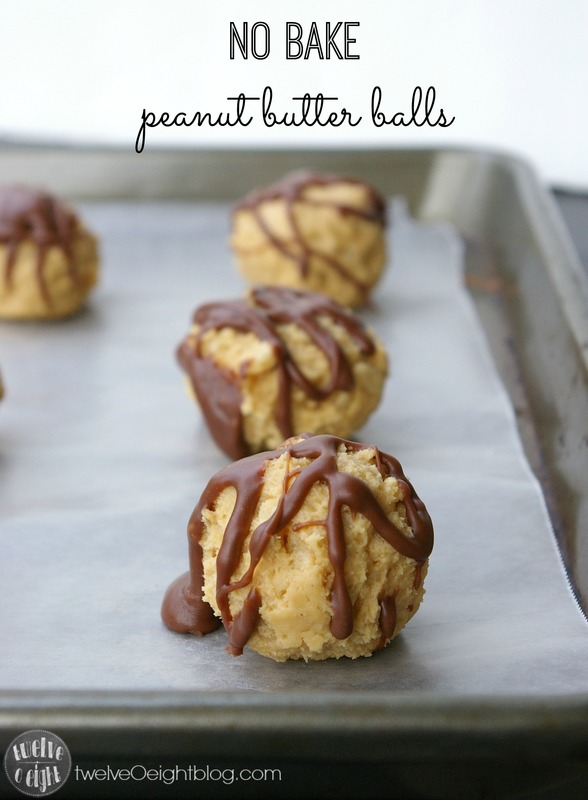 With a full time job and working on my blog I don’t have a lot of free time but these no back peanut butter balls sound so delicious, I will be making time to make and enjoy these!! Thank you for sharing this recipe. Ooooo, yummy! These little goodies look amazing! Thanks for sharing. PINNED! Awesome! They look so yummilicious!